For Circus Circus (admittedly, a bit of a "bargain" hotel), the best deal it could find for four nights was $253, on Travelocity. For the Stratosphere hotel, a bit farther down on the Strip, it found four nights for $197, on Hotelopia.com. 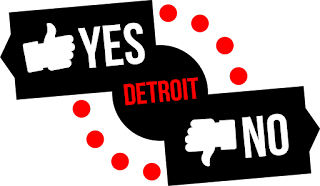 You can also see other options below, such as $184 on elvoline.com, $211 on skoosh.com, etcetera. For my next search, I put in Orlando, from 1/11-1/15, since that is when I am traveling there. I wanted to see how much the Hilton Bonnet Creek was (the hotel I stayed at for BlogHer this summer, and where I'll be spending 2 of my 4 Orlando nights next month), so I limited my search to hotels that had "Hilton" in the name. Hilton Bonnet Creek is quite lovely, and therefore, not cheap: the best deal it found was $801 for 4 nights, on Travelocity. A word of caution: when I clicked through to see if that included taxes, etc., it did not. 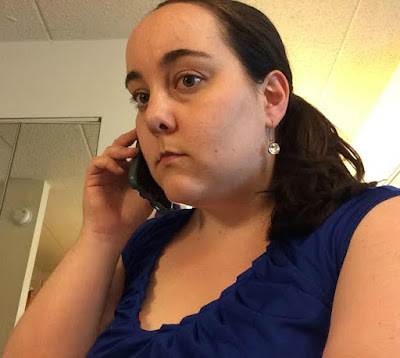 The final price for that deal ($200/n) on Travelocity was $901.68, "due" when you pay on the site, and then another $140 at the hotel, for the $35/day resort fee. 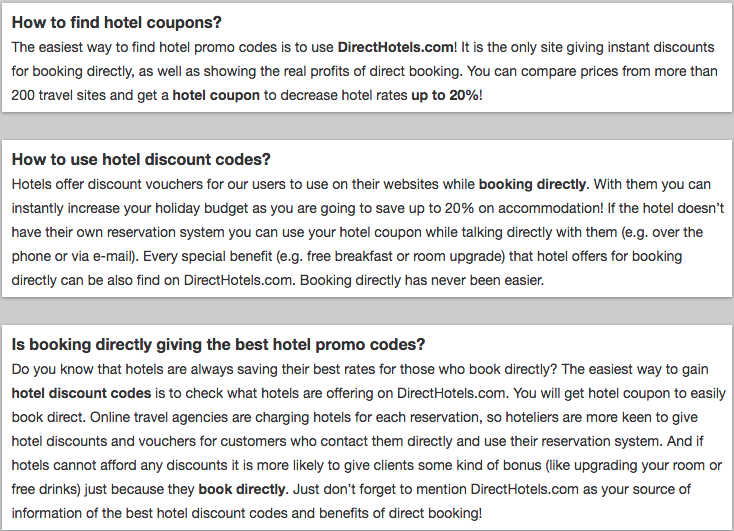 I'll admit that the site is a little confusing—you can see above that it touts itself as having discount codes directly from the hotels to give away to its users, but after using the site for a few searches, I didn't see anything in any of the search results about that. However, I like that the site compares other search sites and gives you the best rate that it can find—it is definitely a time-saver in that aspect. 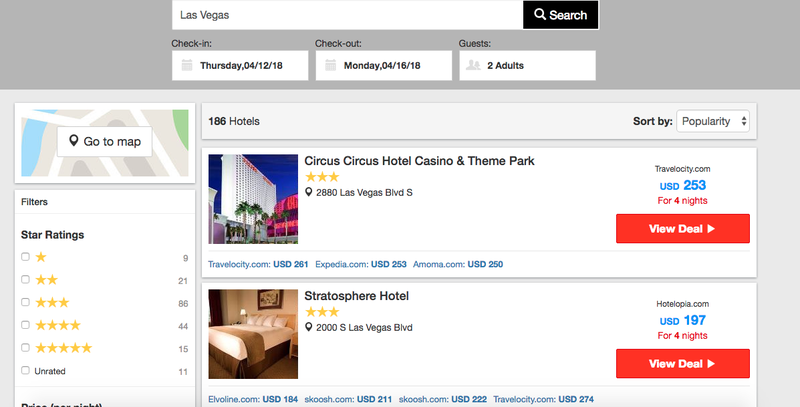 Instead of having to bring up Travelocity, Orbitz, Expedia, etc., and search individually on each site, DirectHotels.com does the work for you. 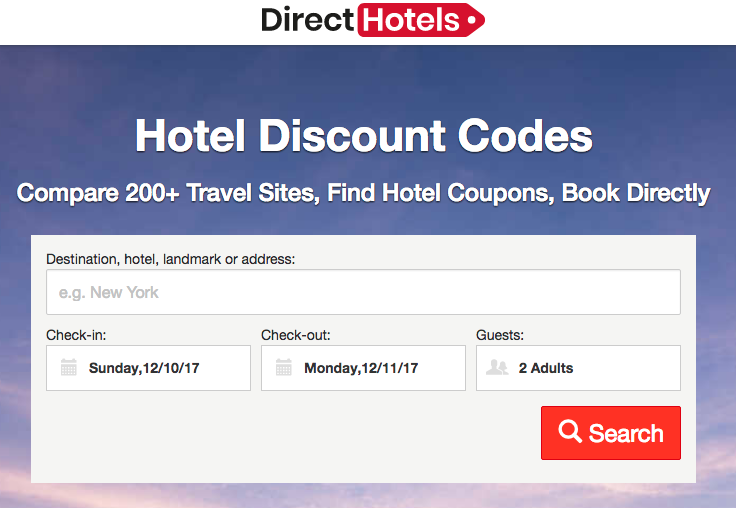 Have you ever used DirectHotels.com? If not, what's your favorite site to use for booking travel?